Fishery managers from Oregon and Washington set spring Chinook salmon seasons for the Columbia River Thursday during a joint state hearing in Vancouver, Wash. The recreational springer season on the Columbia River from the mouth upstream to Bonneville Dam is scheduled to be open from March 1 – April 6, with boat angling restricted to below Beacon Rock. The Columbia River spring Chinook season is based on a forecast of 227,900 returning spring Chinook, which includes an expected 160,400 upriver fish. The prediction is down from last year’s return of 274,700 springers and is 80 percent of the 10-year average return of 285,900 fish. On the Willamette River, the spring Chinook forecast is 38,100 adult fish, which is down from last year’s actual return of 47,200 springers and two-thirds of the 10-year average return of 57,600. The 2017 return allows for a harvest of 9,550 hatchery Chinook between Willamette Falls and the mouth of the Columbia River. Prior to March 1, permanent rules for Chinook salmon, as outlined in the 2017 Oregon Sport Fishing Regulations, remain in effect. 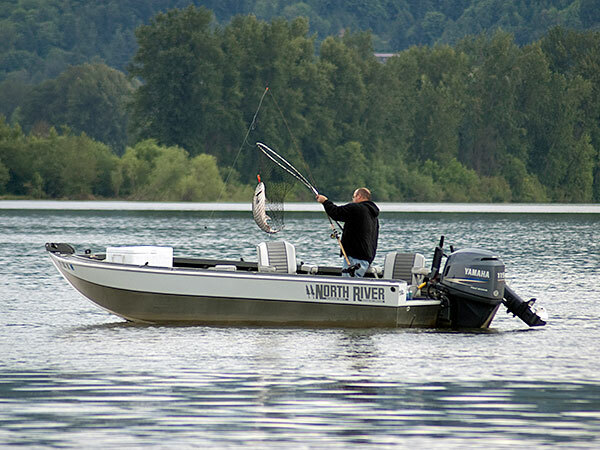 From March 1 through April 6, boat fishing will be allowed seven days a week from Buoy 10 at the Columbia River mouth upstream to Beacon Rock, which is located approximately four miles below Bonneville Dam. Bank fishing will be allowed during the same timeframe from Buoy 10 upstream to the fishing deadline at Bonneville Dam. The recreational fishery below Bonneville will be managed prior to a run update based on the available guideline of 6,905 upriver spring Chinook. 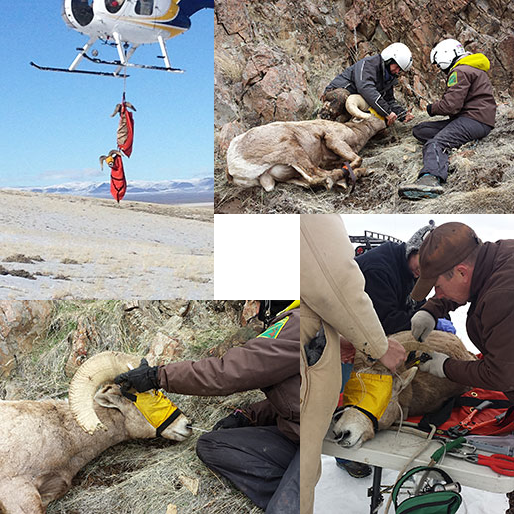 The season may be shortened or extended depending on actual catch and effort. The states also adopted a no-fishing sanctuary around the mouth of the Lewis River to protect spring Chinook returning to that Washington tributary. No fishing is allowed within the closure area, which is defined as: A line from a marker on the lower end of Bachelor Island through USCG buoy Red #4 to the Oregon shore, downstream to a line from the lower (north) end of Sauvie Island across the Columbia River to the downstream range marker (0.7 miles downstream of the Lewis River) and continuing along the wing jetty to the Washington shore. The daily bag limit will be two adipose fin-clipped adult salmon or steelhead in combination, of which no more than one may be a Chinook. The rules also allow retention of up to five adipose fin-clipped jack salmon per day in Oregon. Prior to March 16, permanent rules for Chinook salmon, as outlined in the 2017 Oregon Sport Fishing Regulations, remain in effect. Effective March 16 through May 5, this area will be open to retention of adipose fin-clipped Chinook. Fishing for salmon and steelhead from a boat between Bonneville Dam and the Tower Island power lines, approximately six miles downstream from The Dalles Dam, is prohibited. This fishery will be managed to the available harvest guideline of 921 upriver spring Chinook and may be shortened or extended depending on catch and effort. Except as noted below, permanent fishing regulations for recreational harvest in Oregon waters within Youngs Bay and Blind Slough/Knappa Slough are listed in the 2017 Oregon Sport Fishing Regulations. Effective February 1, 2017, the use of barbed hooks is allowed when angling for salmon, steelhead, or trout in the Youngs Bay Select Area from the Highway 101 Bridge upstream to markers at confluence of Youngs and Klaskanine rivers, including lower Lewis and Clark River upstream to Alternate Highway 101 Bridge and lower Walluski River upstream to Highway 202 Bridge; and in the Knappa/Blind Slough Select Area from markers at the west end of Minaker Island upstream to markers at the mouth of Blind Slough and continuing up Blind Slough/Gnat Creek to the Aldrich Point Road Bridge. Based on today’s action, effective March 1 through June 15, 2017 on days when the mainstem below Bonneville Dam is open to recreational Chinook harvest, the daily adult salmon/steelhead bag limit in Select Area fishing sites will be the same as mainstem Columbia bag limits. On days the mainstem Columbia is closed to Chinook retention, the permanent bag limits for Select Areas will apply. Under permanent rules, the Willamette River remains open to retention of adipose fin-clipped adult Chinook salmon and adipose fin-clipped steelhead seven days a week. Fishery managers will monitor harvest and passage and may need to adjust the season depending on actual returns and catch rates. Effective February 1, 2017, the use of barbed hooks is allowed when angling for salmon, steelhead, or trout in the Willamette River downstream of Willamette Falls. The bag limit on the Willamette below Willamette Falls is two adipose fin-clipped adult salmon or steelhead in combination. Above the falls, two adipose fin-clipped adult salmon and three adipose fin-clipped steelhead may be retained in the daily bag. Effective March 16 - May 15, 2017, the Columbia River will be open for retention of adipose fin-clipped steelhead from Buoy 10 to the Highway 395 Bridge and shad from Buoy 10 to Bonneville Dam ONLY during days and in areas open for retention of adipose fin-clipped spring Chinook. Beginning May 16 permanent rules resume as listed in the 2017 Oregon Sport Fishing Regulations. A limited recreational smelt fishery may be considered for the Sandy River in 2017 but due to sporadic nature of Eulachon returns and the difficulty predicting their arrival date, ODFW does not intend to propose the 2017 regulations unless circumstances are warranted. Under Oregon’s 2017 sport fishing regulations, smelt-dippers will be required to have a fishing license for the first time this year. The retention of sturgeon remains open in the mainstem Columbia River from Bonneville Dam upstream to McNary Dam, including adjacent tributaries. Staff is monitoring harvest and will announce closure dates when pool-specific harvest guidelines are met. Columbia Zone regulation updates can be found online.